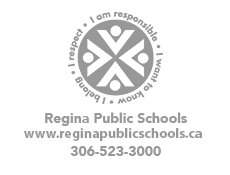 8:00-11:55 a.m. and 1:00-4:25 p.m.
Regina Public Schools Transportation Services is pleased to arrange for the transportation of students as outlined in Regina Public School Board and Saskatchewan Education policies. There are many aspects to transporting students to and from school. The Board, parents, drivers, and students share responsibility in this important undertaking. TRANSPORTATION ELIGIBILITY FEATURE - follow this link to determine if your residence will be eligible for transportation services. If transportation services are available for your address it will be noted with your eligible school information. If there is no notation listed, your address is not eligible for transportation service. Students enrolled in special education programs may also be eligible for transportation. Please contact Transportation Services at 306.791.8245 to confirm eligibility. The transportation system is designed to serve all eligible students. In order to minimize ride times, students may be requested to gather at designated stops. In recognition that the safety of students is of paramount importance, parents/caregivers, drivers, and students are requested to observe the following guidelines. Ensure their child is at the stop location and is ready for boarding five minutes prior to the stated departure time. Ensure, as necessary, that there is a responsible individual available to meet the vehicle after school. Operate the vehicle in a professional manner at all times. Not leave the stop location prior to the stated departure time. Assist in the loading and unloading of students at the vehicle, when required (as in the case of students in wheelchairs). Ensure order and safety of the students in the vehicle. Be courteous to all students, parents and school board staff. Arrive at the stop location and be ready to board five minutes prior to the stated departure time. Remain safely seated whenever the vehicle is in motion. Behave responsibly and follow any instructions given by the driver. The driver is obliged to record the incident and submit a report to the principal. The principal is responsible for ensuring appropriate student conduct and discussing any incidents with the parents/caregivers. Upon review of an incident, student transportation services may be withdrawn. Please notify Transportation Services immediately if there is a change in your child's pick-up or drop-off location. Families who move during the school year are requested to contact Transportation Services at least one week prior to moving to ensure that appropriate school transportation arrangements are made. Please note that transportation can only be provided within the designated area for each school. If a family moves outside of a school's designated area and does not wish to transfer the pupil to the school serving their new area, parents become responsible for transportation arrangements. In the event of severe weather conditions, please listen for radio announcements. If it becomes necessary to cancel bus operations, notice will be provided via the radio. Severe weather conditions and poor roads may extend bus running times, resulting in late arrivals and/or departures. Parents/guardians should ensure that children are suitably clothed to withstand weather extremes, that children are supervised until picked up, and that children have a place to go in the event of an emergency or an unavoidable delay. Regina Public Schools transportation will implement a new procedure effective in the 2014-2015 school year. 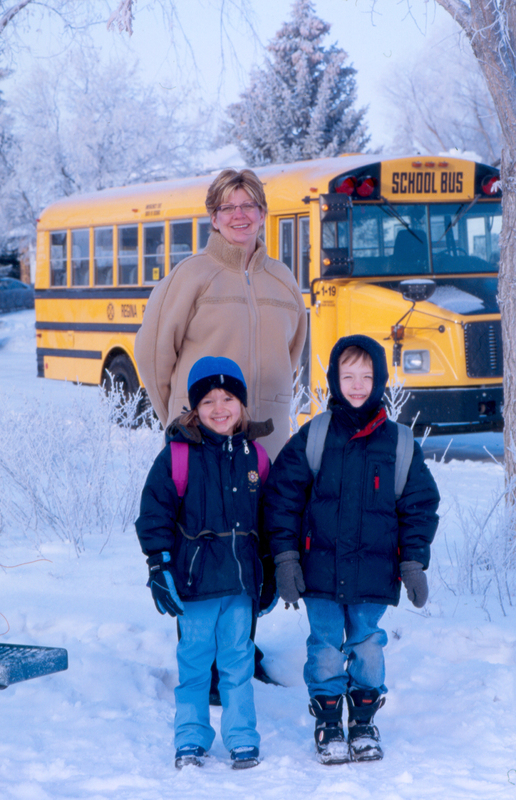 If the wind chill and/or temperature falls below –45 C at 6:00 AM, all student transportation will be cancelled. If the wind chill and/or temperature falls below –40 C or at 6:00 AM, transportation for students requiring vehicles equipped with lifts (such as, students in wheelchairs) will be cancelled. Parents/guardians and students will be notified through the School Connects Synrevoice System, as well through radio, TV, and RPS social media (Twitter, etc.). Students boarding the bus carrying objects such as musical instruments, skates, etc. should use the utmost care so as not to accidentally injure other passengers. Aisles shall be kept clear of all obstructions (feet, books, lunch boxes, gym bags, back packs, musical instruments, etc.). Food and drinks are not to be consumed in vehicles. PLEASE CLICK HERE TO VIEW THE TRANSPORTATION BROCHURE.